Amedeo Modigliani (1884-1920) was one of the great figures of 20th-century art; an artist open to the main trends within the Parisian avant-garde prior to World War I, but one who remained independent of any particular school. 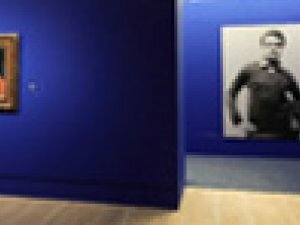 This exhibition aims to analyse his career from the time of his arrival in Paris in 1906 to his death. In contrast to other exhibitions on the artist organised up to now, the present one will show his work within the context of a dialogue with the great masters who influenced him, particularly Paul Cézanne, Pablo Picasso and Constantin Brancusi, and with his fellow-artists in Montparnasse, including Marc Chagall, Chaïm Soutine, Moïse Kisling, Ossip Zadkine, Tsuguharu Foujita and Jules Pascin.